According to distributor Tech Data, Chromebooks represents a paradigm shift from the challenges of traditional laptops, offering 10 times improvements in speed, security, simplicity and collaboration. Tech Data says an increasing numbers of businesses are moving to the cloud, budgeting more on SaaS and Cloud applications. This is driving adoption of Chromebooks in the enterprise. Netflix, for instance, has brought its call centre into the cloud, deploying Chrome devices for its agents. The devices are managed through Chrome management. Devices are available at prices to fit all budgets, ranging from under £200 to over £1600. 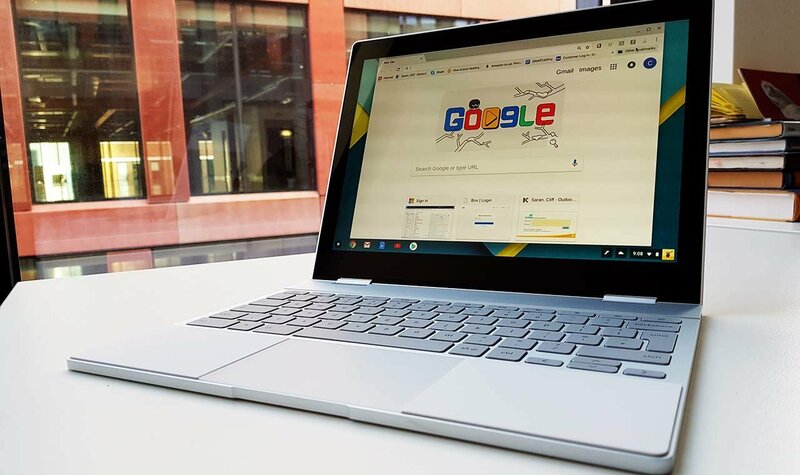 Google’s new Pixelbook is one of the most expense, with the base machine costing £999. But it is a high spec ultrabook, with a design to rival the very best that Apple, Microsoft and others can offer. In the next slide we introduce CloudReady, a version of Chrome OS that runs on standard PCs and Macs.